Microsoft has agreed to buy Nokia's mobile phone business for €5.4 billion (£4.6 billion). As part of the deal, Nokia will licence its patents and mapping services to Microsoft. Its enterprise IT, networking, software and services divisions are unaffected by the deal. Nokia has been the biggest supporter of Windows Phone since it launched in October 2010. If approved by shareholders and regulators, the purchase is set to be completed in early 2014. Around 32,000 employees will transfer to Microsoft as part of the deal. Nokia's chief executive Stephen Elop – who joined the company from Microsoft in September 2010 – will step down as part of the deal. He is expected to become head of devices at Microsoft if the purchase is approved. Elop has also been mooted as a possible successor to Ballmer when he steps down next year. Shares in Nokia jumped 45 per cent on news of the deal. “It's a bold step into the future – a win-win for employees, shareholders and consumers of both companies,” Steve Ballmer, chief executive of Microsoft said in a statement. 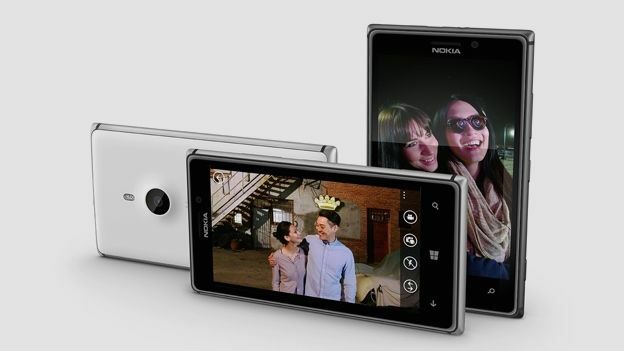 Under the terms of the agreement, Microsoft will acquire the Asha and Lumia brands from Nokia. However, the Nokia brand will remain the property of Noka itself. Microsoft will able to continue using the Nokia brand on feature phones for the next ten year. However, as part of the deal, all future smartphones designed by the former Nokia unit will be branded under Microsoft's name. Nokia has struggled in recent years against an onslaught of new companies entering the mobile phone business. Before Apple entered the market in 2007, it accounted for four out of every ten phones sold. Both Nokia and Microsoft have been criticised for being slow to adapt to the changing phone market. Microsoft has been criticised in recent years for its failure to anticipate the direction the technology industry has been moving in. In the late 90s, it was accused of missing the potential of the internet. In the last decade alone, critics have pointed towards Apple as a sign of how badly wrong Microsoft got mobile phones and tablet computing – areas Microsoft had been present in for several years. Nokia too has come under fire for its failure to capitalise on its former market leading position. Critics have said the company focused on its cash cow of feature phones for too long, effectively handing the smartphone crown over to Apple and Samsung. Microsoft's purchase of Nokia's mobile phone divisions has long been mooted. Former Microsoft man Stephen Elop's appointment as chief exectutive in 2010, followed by its announcement that it would build phones exclusively for Microsoft's Windows Phone operating system, stoked suggestions that the Seattle-based company was planning to buy Nokia. As recently as January 2012, rumours were circulating that Elop was a trojan horse, getting the company ready to be purchased by Microsoft. Despite those rumours, some analysts have questioned the purchase of Nokia's devices and services divisions, describing it as a “bold, but entirely necessary gamble”. “Mobile needs to be a cornerstone of Microsoft's business for future success,” said Ben Wood, chief of research at CCS Insight. "The failure of Microsoft's platform-only approach over the last 15 years, initially with Windows Mobile and more recently with Windows Phone, has left it with few alternatives given its almost complete reliance on Nokia for Windows Phone devices and the competitive eco-system strength of Google and Apple. “This is by no means a silver-bullet solution to Nokia and Microsoft's current difficulties,” he added. The purchase of Nokia's devices and services divisions means that Microsoft now has another hardware division on its hand. Prior to the turn of the millennium, the only hardware Microsoft made were accessories like mice and keyboards. That changed with the launch of the Xbox in 2002. To date, it is one of the few success stories at Microsoft in a decade blighted by products like Windows Vista. Its other major product launch of the last couple of years, Microsoft Surface resulted in a write down of nearly $1 billion earlier this year. According to Wood, the major restructuring that Elop has undertaken at Nokia over the last should provide Microsoft with a stable platform to restart its mobile and tablet efforts again. “The massive restructuring that has taken place within Nokia over the last two years offers Microsoft a more stable foundation on which to focus its efforts in mobile, but Windows Phone remains a distant third place in the smartphone race compared to Apple and Google / Samsung,” said Wood. However, despite that, Wood still believes the deal is beneficial to both companies. Nokia is expected to unveil two new products later this month, including a tablet running Microsoft Windows RT software. Reports have suggested that the company is planning to unveil it at an event on September 26th in New York. It is unknown if it is planning to announce any new products at IFA 2013 in Berlin. Rumours have speculated that it will be powered by Qualcomm's Snapdragon 800 processor. Little else is known about the tablet, but it is expected to launch sometime before the end of the year. In addition to talk of a tablet, rumours have been circulating for sometime that the company is keen to start expand the types of phones it offers. Among those rumours is one that Nokia will unveil a six-inch phablet later this month. The company has previous been unable to launch larger phones that it has done due to restrictions on maximum screen resolutions imposed by Microsoft. With the arrival of Windows Phone 8 update GRD3, the limitation on screen size is expected to be lifted. Read more: Nokia planning a phablet? In July, Nokia's general manager of app development attacked Microsoft for its failure to support Windows Phone 8 more. In an interview, he said that Microsoft was still failing to see the importance of getting big name apps on to its mobile platform. He added that Nokia is upholding its end of the bargain, but that it can only do so much by itself.